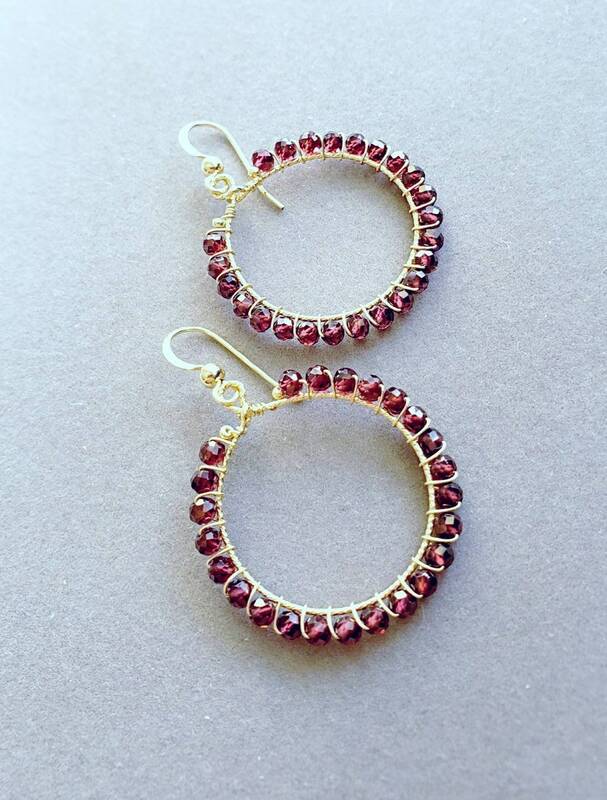 Rhodolite garnet rondelles are wrapped with gold filled wire around a textured 30mm gold filled hoops. 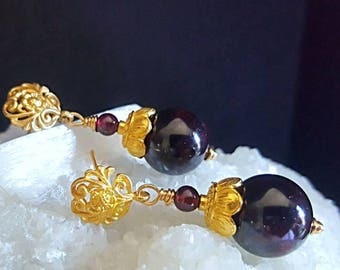 Finished with gold filled ear wires. 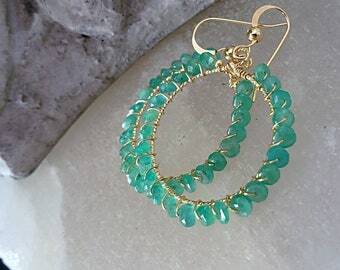 Total length is just under 2"
Earrings come gift wrapped beautifully boxed with polishing cloth, ear nuts (except lever backs and hook shaped ear wires) and zip lock bag for storing. Any additional information regarding customization, details on this piece and more just convo me!! 🌹*By purchasing any items from my shop, buyer agrees and accepts all applicable terms and policies. **Please review carefully prior to purchasing. I am happy to explain further if necessary, just convo me. 🌹It is my goal to provide you with a long lasting beautiful piece of jewelry, that you'll be proud to wear for many years. I take great care in the construction of my pieces to ensure just that. You'll notice the difference in the quality and added value. 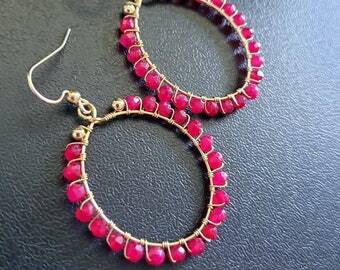 🌹All items in this shop are the original designs of Jewels To Treasure Ltd. 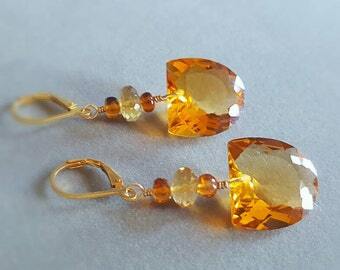 Handmade Jewelry by Kathy Cancel 2018.